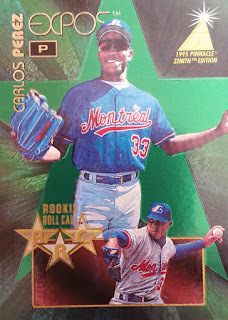 We will be taking a break today from seeing my time travels back to the 90's and enjoying a new rip from 2019 in Topps Heritage. In the beginning of every baseball season, I don't know about you, but you gotta dip your hands into every product release that comes out early on. It's just what you do to build up the anticipation. This year Topps Heritage is bringing back the 1970 Topps Design which I rather enjoyed. Let's check out how my rip went shall we? In every box of 2019 Topps Heritage baseball, there are 24 packs of 9 cards. You will find one hit per box with either an autograph or relic card. Hobby Boxes run roughly $90 currently. Also in every box are these Box Toppers. Here is what you can find for options on those, 1970 Topps Super Baseball above, as well as 2019 Topps Teammates, 1970 Poster Box Loader and 1970 Topps Originals cards that are stamped buybacks from the original set. My find was Juan Soto. Not a bad way to kick off the box. The base set is the 1970's Topps baseball design which looks even sharper today. I wasn't normally a fan of products that brought back old designs for new players but some of them just look fantastic. This years does for sure. There are 500 cards in the base set including 100 Sp's. Some players are even found in their new digs like this James Paxton. He looks good in pinstripes by the way. I promised this year I would post the card backs to every base card and here is this one. Pretty sharp with lots of stats. The CMP for base sends in 92. There are plenty of base card subsets to find as well in this 500 card checklist. And the Sporting News. Pretty sharp card. I dig it! And the base card Sp I spoke earlier about. There are roughly eight to find per box with their 1:3 odds. I do like the Sp's done like this in a base set as it puts added value on building a base card set. CMP code for the Sp's ends in 12. I always mention the CMP codes on the back becuae they will be your best friend when it comes to telling the difference between a base and short print or variation. Otherwise, good luck telling the difference without a full gallery. Back that ends in 93 and the obvious french words on it. The French Text Sp falls 1:145 packs. I think there are a few too many of these type of short prints in here now. I am okay with a couple, but 8 feels a little un-needed. 100 of the base cards get the Chrome treatment that falls 1:58 packs. These have parallels as well of urple Hot Box, Refractor /570, Black /70, Gold /5, SuperFractor 1/1. There are inserts to find as well with that throwback feel with silver border. New Age Performers that fall 1:6 packs with 25 cards in the set. Then And Now falls 1:18 packs and has 15 cards in the set. Baseball Flashbacks 1:18 packs with 15 cards to collect. 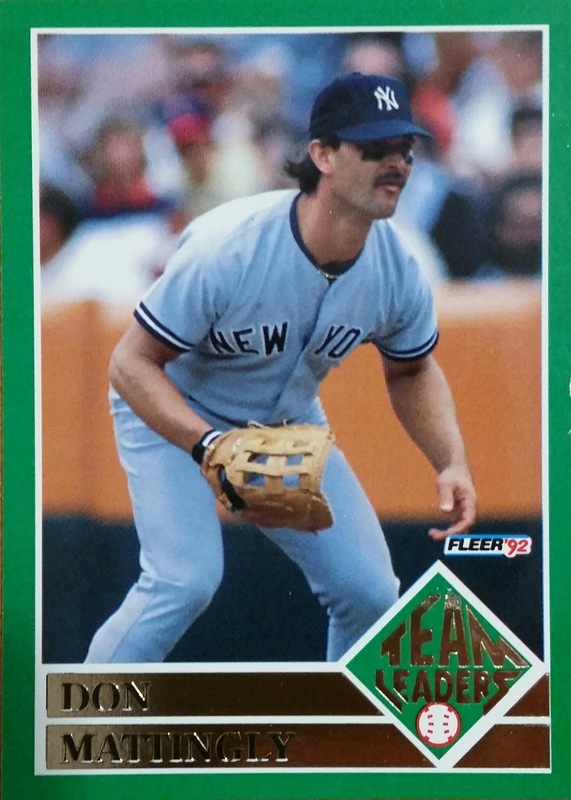 News Flashbacks 1:18 packs with 15 cards to collect. And finally, Play Baseball Scratch off that falls 1:24 packs. There are 15 cards to chase. This is the front. Now onto the hit. I will say from personal experience and from others opinions, if you bust Heritage just to hit chase, you will be left disappointed 98% of the time. This isn't one of those types of products. This is a product built around the flashback feels and remembering what once was combined with what is. This isn't a Topps Museum type of product. However, you will have those 2% of times you will end up VERY happy. My hit of the box which isn't any surprise is a relic. That's typical. OVERALL: Like I said earlier, if you are here to chase hits, this product probably isn't for you even though it does have some big ones to find. This is more of a collector product. One that enjoys the throwback designs of yesterday and especially for the set collectors with the massive base and Sp set to chase. This was a fun break and if you enjoyed this product in the past you will again. Or if you simply liked the 1970 Topps design the first time you will here again as well. A cheaper way to possibly land a hit in a break like this would be to buy into a box break which I suggest Midwest Box Breaks when you do so. Please make sure to take a minute out to thank Topps for providing this box for me to review and to be able to add cards to the giveaway on Twitter I am hosting. Please follow me there to enter @SportCardCollec. Also follow Topps on all social media sites and visit their SITE, as well. Great review , I like the design this year as well. Seems like alot of extra inserts to chase but to each their own. Thanks Topps for giving SCC the opportunity to review. Great review! Thank you SCC and Topps for the great looking cards! Thank you and Topps for the review...French backs? Was that a thing in the 1970 set? Parts Of My Past Update! The Origins Of A Cardboard Addict:Ouch!